We strive to offer only the best quality products at fair and competitive prices. Custom cut meat orders are our specialty. We will cut and vacuum pack your orders to your specifications. Our own Homemade Pork Breakfast Sausage is something you have to try! It's a great addition to any meal - and is great on the grill! 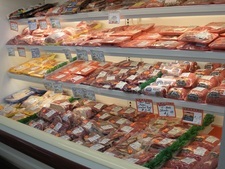 Give our meat department a call for current prices and to order your beef, pork, or combination bundles.